Joseph Cavalieri. “Return of Nossa Senhora” stained glass window. Measu digital design, 2017. D 6 ft. Lending their shape and form, insects are the basis of a new collection by two Italian designers who seek to capture the marriage between design and nature in glass objects. The “Metamorphosis“ collection is a result of the collaboration between two artists, Camilla Brunelli and Simone Crestani. 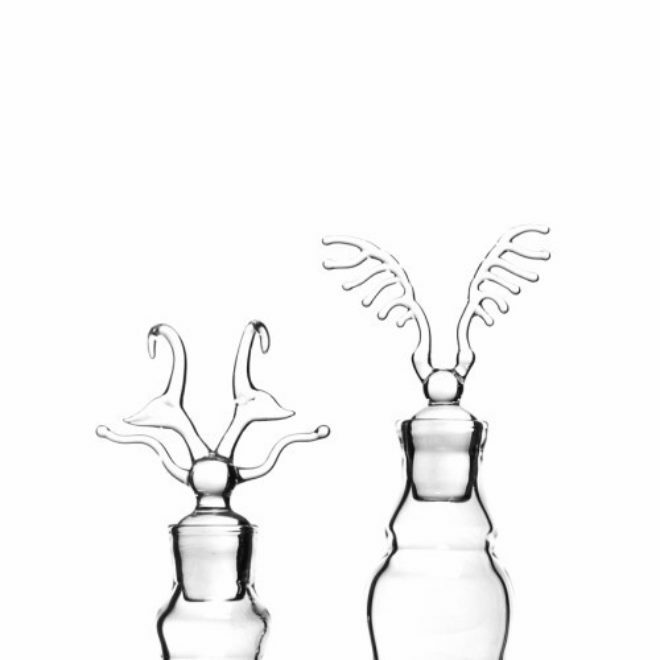 Using delicately blown glass vessels, the artists sought to capture the rigidity and translucence of shed insect exoskeletons. 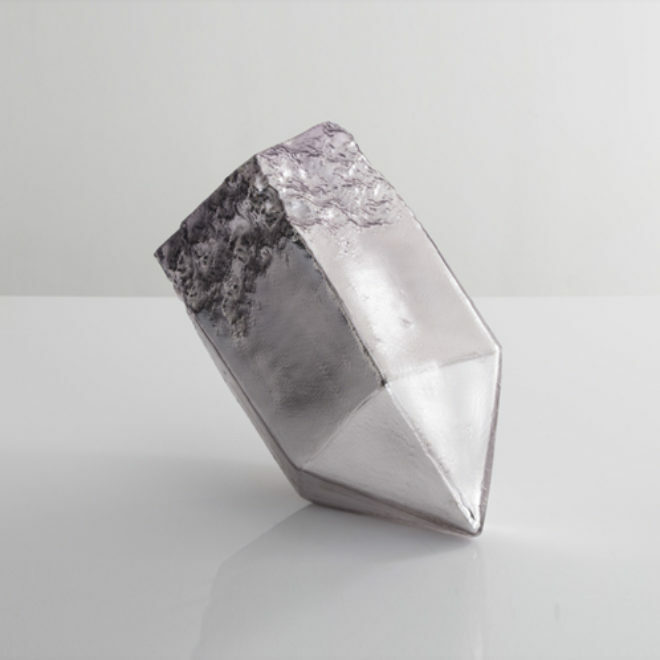 Running through September 17, the exhibition is taking place as part of Venice Glass Week, where it is being shown at the T Fondaco dei Tedeschi on Venice's Grand Canal. The event is the first iteration of a brand-new international glass event with a focus on Murano glassmaking. Opening September 10, 2017, and running through the 17th, the week includes over 140 events paying tribute to Venice and Murano's rich history involving glass. including conferences, exhibits, and educational activities. The "Metamorphosis" exhibition is part of this much-larger festival of Italian glass art, design and history which celebrates one of Venice's most influential artistic exports. Seattle-based artist and designer Julie Conway has been named "visiting artist" for the Motif Seattle, a hotel that, true to its name, blends its identity to the vision of an area artist on a rotating basis. The recently redesigned hotel works with the artists to create a unique design "motif" that is incorporated into everything from the hotel's business cards to the room keys to elements of staff uniforms, and the collaboration is promoted on the hotel's social media presence. Conway was chosen from 20 applicants, and will receive a $2,000 honorarium. As part of her role as Motif Seattle's 2017-2018 visiting artist, Conway will be listed as the hotel's visiting artist throughout the hotel, and her work will be featured in the relaunched Website for the Motif Seattle later this month. She will also be running private glassblowing events for the hotel's clients throughout the term of the residency. 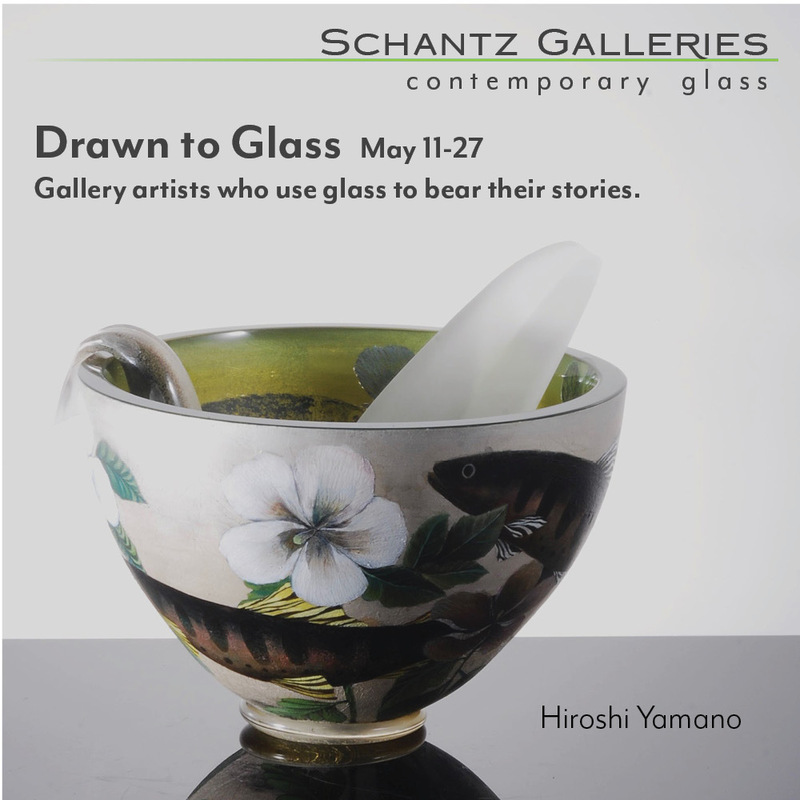 Glass artist Jeff Zimmerman continues to skirt the line between art and design with his work included in a summer group exhibition at design gallery R &amp; Company. The exhibit will remain on view through August 17 and is notable for some strikingly fresh geometric work for an artist known for fluid, kinetic forms. 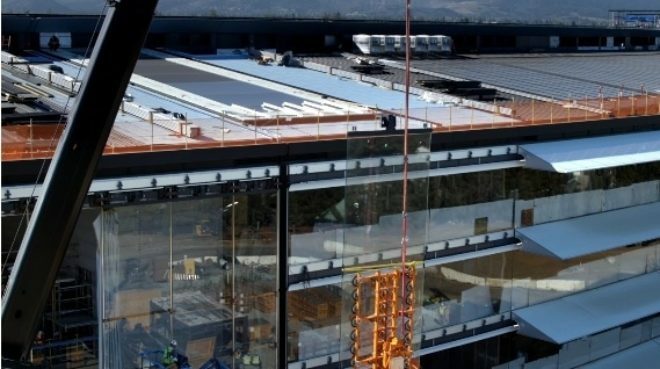 Apple employees will be moving their desks to the much-anticipated new headquarters, Apple Park, sometime in April, according to a company press release, even though the construction process on the Santa Clara Valley, California, facility won't be complete until fall 2017. Billed as one of the world's most energy-efficient buildings thanks to its massive rooftop solar array and a natural ventilation system that is projected to need no heat or air conditioning 9 months of the year, the massive ring-shaped central building designed by Foster + Partners also claims to have the world's largest curved glass panels, which clad the space-ship like structure in seamless sheets of silica. Over 12,000 people will eventually occupy the new complex when it's fully occupied. The main building alone will provide 2.8 million square feet of space. 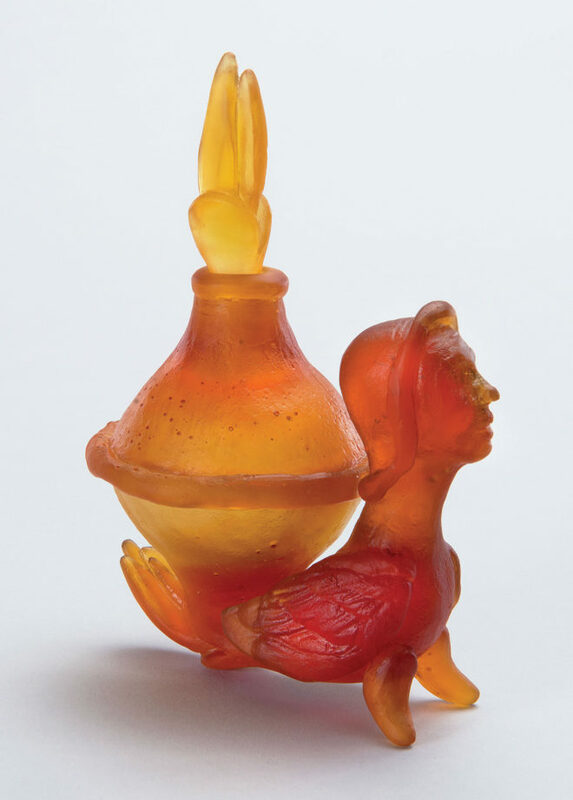 Practically across Fifth Avenue from the Metropolitan Museum of Art in Manhattan, the Tambaran Gallery will show work by a painter, perfumer, and glass artist in a collaborative project exploring the power of scent through history. Painter Frances Middendorf, perfumer Leonardo Opali, and glass artist Anna Boothe have been working together on "The Scent Project," which has seen four exhibitions of their evolving bodies of work — two in Connecticut, and two in Venice. 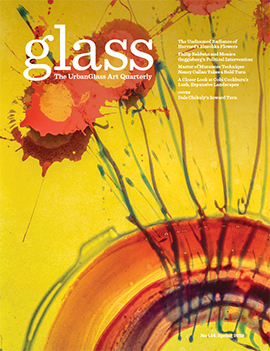 It would take extraordinary strength to breach three sheets of glass laminated together with ethylene-vinyl acetate (EVA), yet high-profile structural applications, such as high-altitude footbridges in China, continue to awe the public who associate glass with fragility and a tendency to shatter. 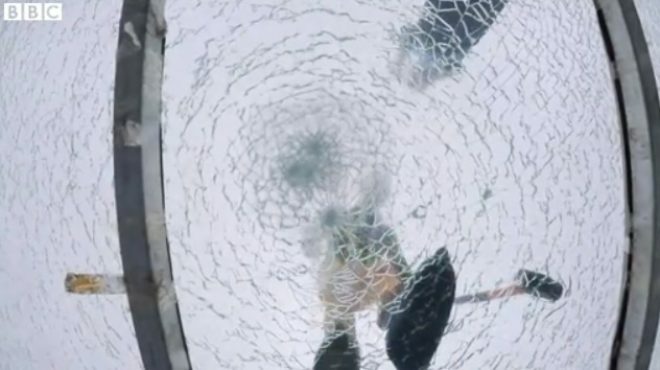 In an effort to dispell this unwarranted fear of walking on glass, a BBC reporter was invited to try to break a structural glass panel shortly before the opening of the world's highest and longest glass-bottomed bridge, which is expected to open in July 2016 in Zhangjiajie, China. Lesser known than their more commercially developed LED counterparts, OLEDs generate broad-spectrum light that is far closer to the light cast by incandescent light bulbs than the harsh whiteness associated with LEDs. An OLED is a sandwich made up of an organic material layered between two electrodes, and these layers are deposited (they can be printed with an ink-ket) onto a transparent substrate. The many advantages of OLED technology — better quality of light, potentially lower cost than LED if mass produced, cool temperatures, higher response times if used for displays versus backlit LCD screens — must be balanced against the comparatively shorter lifespan and changing color balance over time, problems that are being addressed by researchers. Advances in OLED engineering hold great potential for the technology not only for touch-screens (where they are already being used in some smartphones), but for ambient lighting as well. A new design competition co-sponsored by Corning Inc. and the OLEDWorks company, is seeking innovative lighting designs incorporating today's OLED technology, and is offering $10,000 cash awards as well as opportunities to develop prototypes for winning ideas. The duo of Romina Gonzales and Edison Zapata, whose collaborative design-make project is called Offcentre, will have an opening reception this evening for their installation at the clothing chain Peruvian Connection's Upper West Side store in New York City. Running from 6 PM to 8 PM at the apparel company's location at 341 Columbus Avenue, wine and light food will be served. 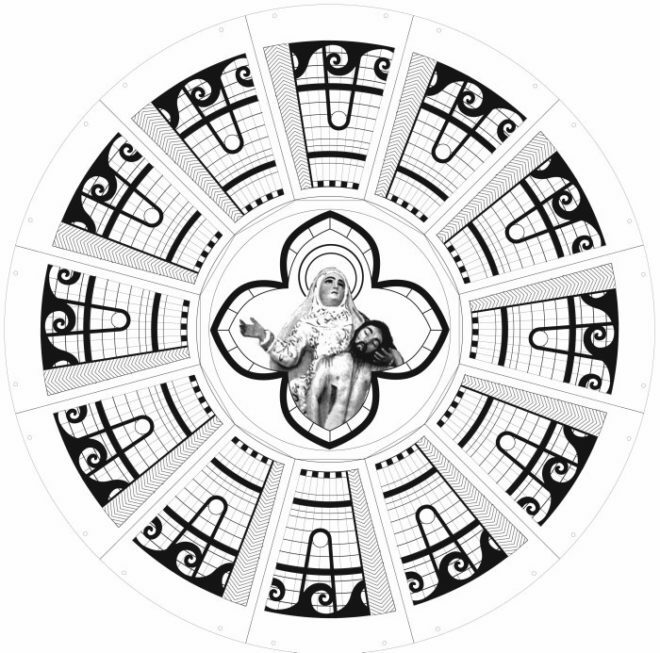 On April 18th, a new exhibition entitled "Glass of the Architects. Vienna 1900-1937," organized by Le Stanze del Vetro, will open at this center of glass scholarship and exhibition in Venice, Italy. With the cooperation of the MAK — Museum of Applied Arts in Vienna, Austria, Le Stanze has assembled key works in glass designed by seminal architects and designers of a unique era of innovation including Josef Hoffman, Koloman Moser, Joseph Maria Olbrich, Leopold Bauer, Otto Prutscher, Oskar Strnad, Oswald Haerdtl, and Adolf Loos. Running through July 31, 2016, the exhibition, which is curated by MAK curator Rainald Franz, includes more than 300 individual works notable for their embodiment of the period's restless search for new form that marked the turn of the 20th century through the escalating conflicts that led to World War II. Even before this movement was labeled "Modernism," there was a widespread feeling that established styles were out of date and something new was needed.